Cable cutters from TPC Wire & Cable Corp. are perfect for your cable stripping, cutting and termination needs. As a leading supplier of wire, cable and connectors for harsh environments, our cable cutters are just like our cables and wires - durable, dependable and long-lasting. 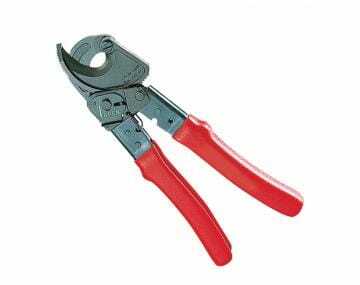 Choose from small or large diameter cable strippers, ratcheting cable cutters, standard wire strippers and cable cutters and replacement blades and accessories. Our cable cutters are all RoHS Compliant, offering a compact yet effective solution for your cable maintenance, installation, cutting and stripping needs. Additionally, our cable cutters are ergonomically designed, affording for a comfortable grip without compromising leverage. 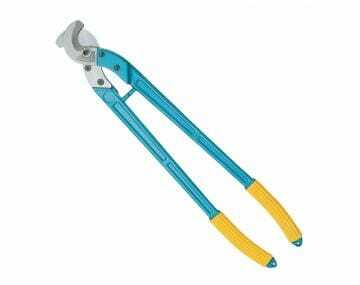 TPC Wire & Cable cable cutters are available for a wide range of cable diameters. Please click the image to learn more about our cable cutters.